Now, you may think that this product is too good to be true. It’s hard to believe that a single product can give promises of looking younger overnight. 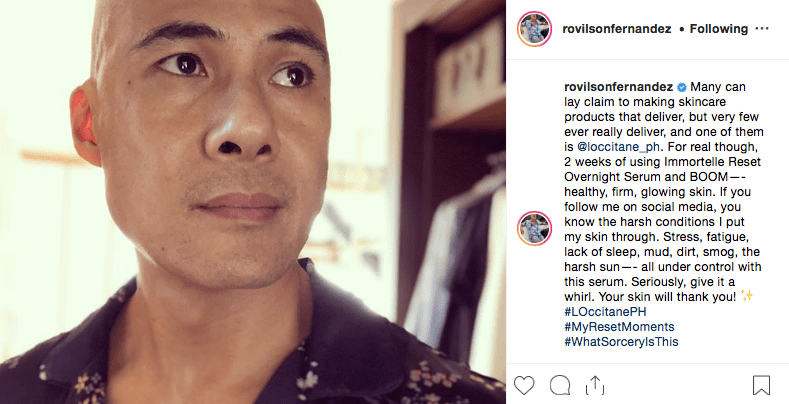 To put it to the test, we asked a few people to try out the Immortelle Reset for two weeks, and to document their progress and thoughts on the serum. Keep reading to find out what they have to say! 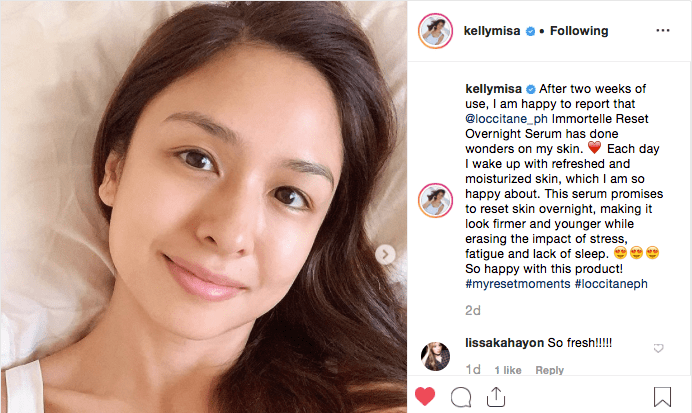 Kelly seems to love the product, as she proudly puts her bare face on display! 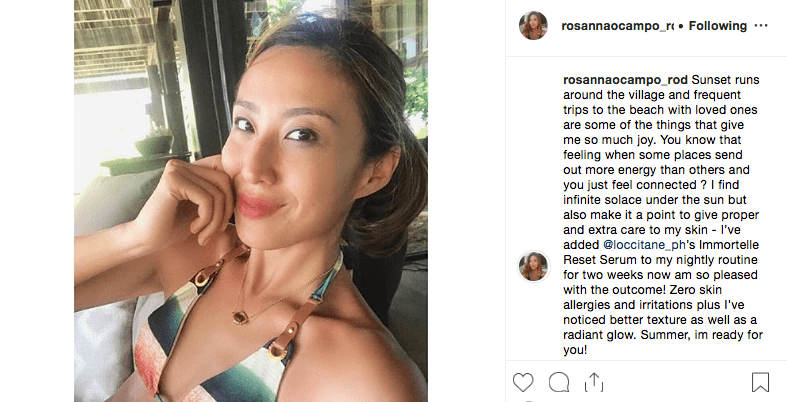 After only two weeks of using the serum, she claims that the product does wonders on her skin, and that she wakes up with her skin feeling refreshed and moisturized. Stephanie uses the product every night, and she loves the texture of the serum. The results of her daily use shows even skin tone and glowing skin that needs no filter or make-up at all! She is now convinced that it can be a staple to her routine, as it provides good value for money as well. Another bare faced beauty has decided to showcase her natural looks with confidence, thanks to the serum! 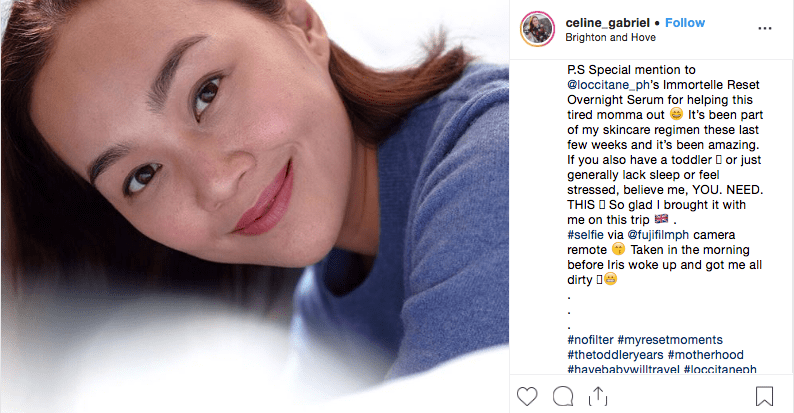 Celine brought her serum on vacation, and it was the ultimate test to see if it will last the jet lag and the travel stress brought about by new surroundings and a toddler in tow. As a young mother, she says that it definitely helps with the “mommy-stress”, and it’s a definite must-have in any skincare regimen. We didn’t want to just ask women, so we asked some men to try out this product! This serum is perfect for all skin types, regardless of gender. Marc spends most of his days either travelling or on the beach, so his main problem areas would be his sunspots. However, after using the Immortelle Reset, his skin was definitely smoother and firmer with just one use overnight! 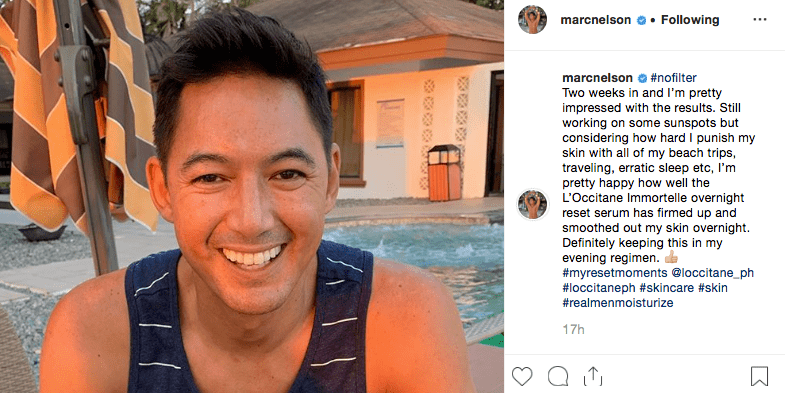 While Marc is frequently under the sun, Rovilson admits that he puts his skin under much stress due to fatigue, lack of sleep, and pollution. He is now a firm believer of the serum, seeing drastic results in under two weeks with daily use. Healthier, firmer, and more glowing skin in an instant! Summer is beach season, and we need to give our face the protection it needs against the harsh UV rays. Rosanna added the serum to her nightly routine, and was surprised with the results – zero allergies and breakouts! With powerful ingredients, this product not only combats skin aging, but serves as a protective barrier from all the harsh pollutants. It also gives better texture, as Rosanna says it provides her with a “radiant glow”. While the serum can protect you from the heat of the sun, it can also provide moisture and glow during the cold weather! 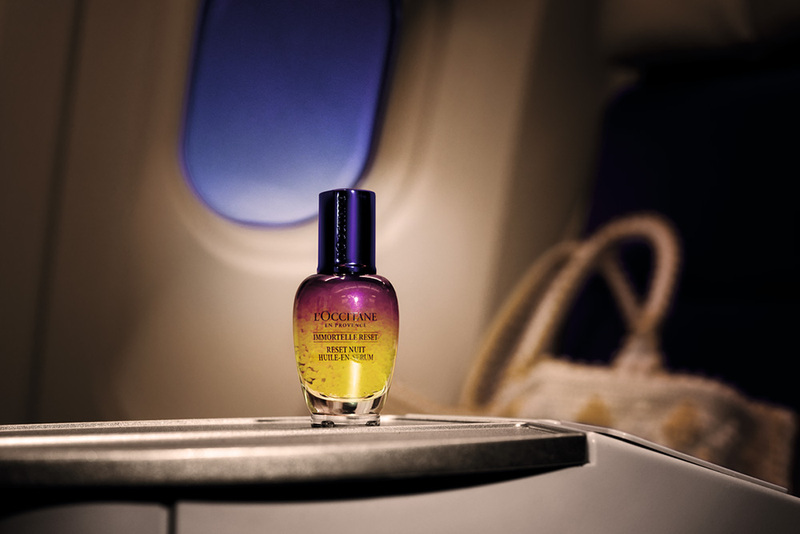 As Jaz travels to Italy, she brought her serum with her to test it out. 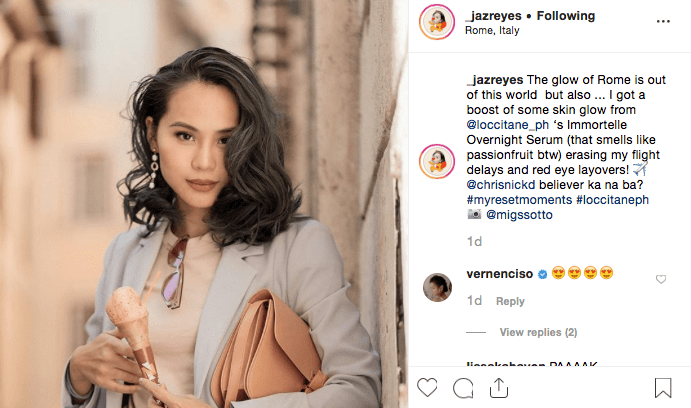 It was proven to fight against jet lag and provide her with skin that looks bright and awake, despite the dropping temperatures. Like Jaz, Chris is now a solid believer of the serum as it gave him moisture whilst in chilly California. 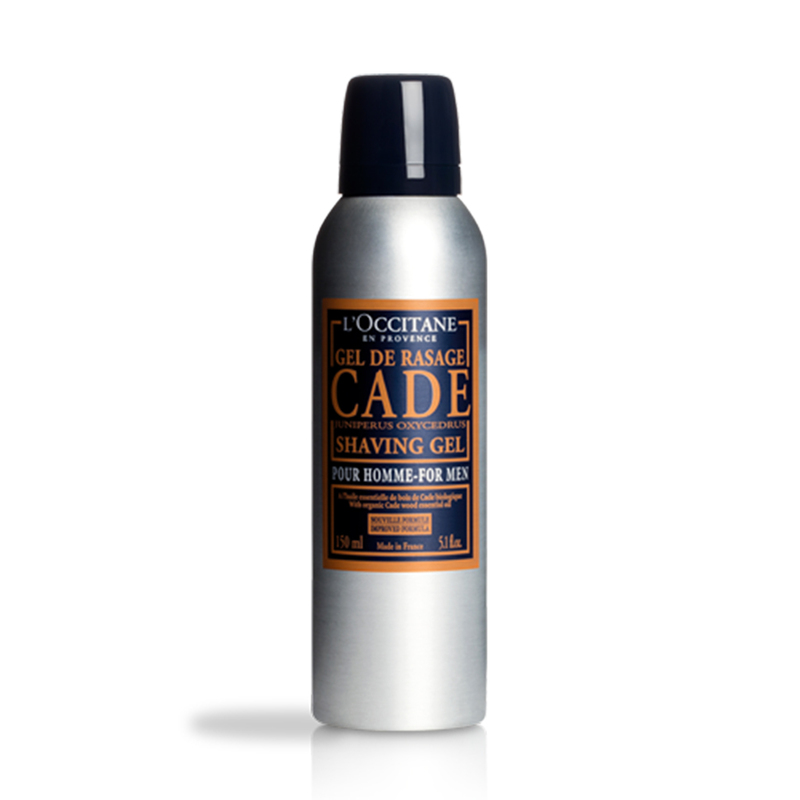 Long flights and even longer drives can take a toll on your skin, so this product helps him look refreshed and healthy. Rocio has been using the serum for over three weeks now and is incredibly pleased with the results. 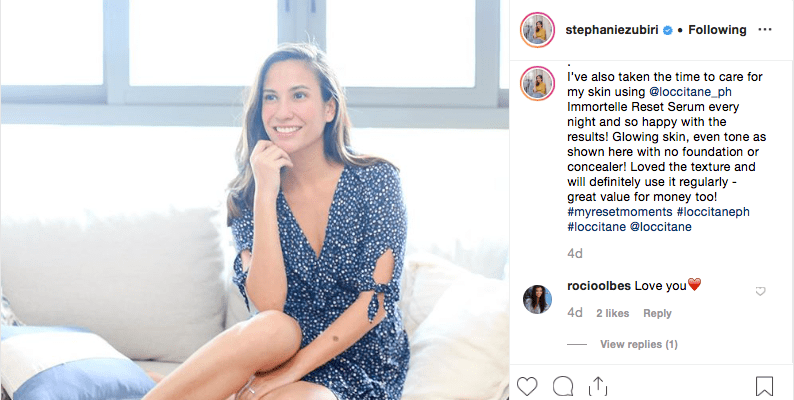 Whether in the beach under the summer sun, or walking around the city, she experienced no skin allergies while using the product, and it gave her incredibly soft and smooth skin. This shows how adaptable and useful the Immortelle Reset is! 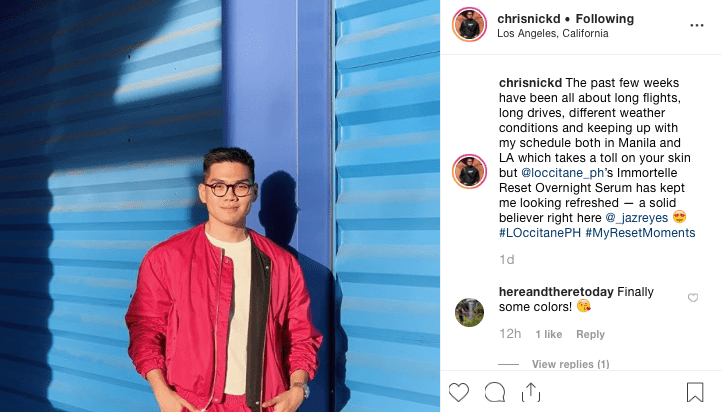 With all these testimonials regarding L’Occitane’s Immortelle Reset, you can be assured that glowy, youthful skin can be achieved in an instant. 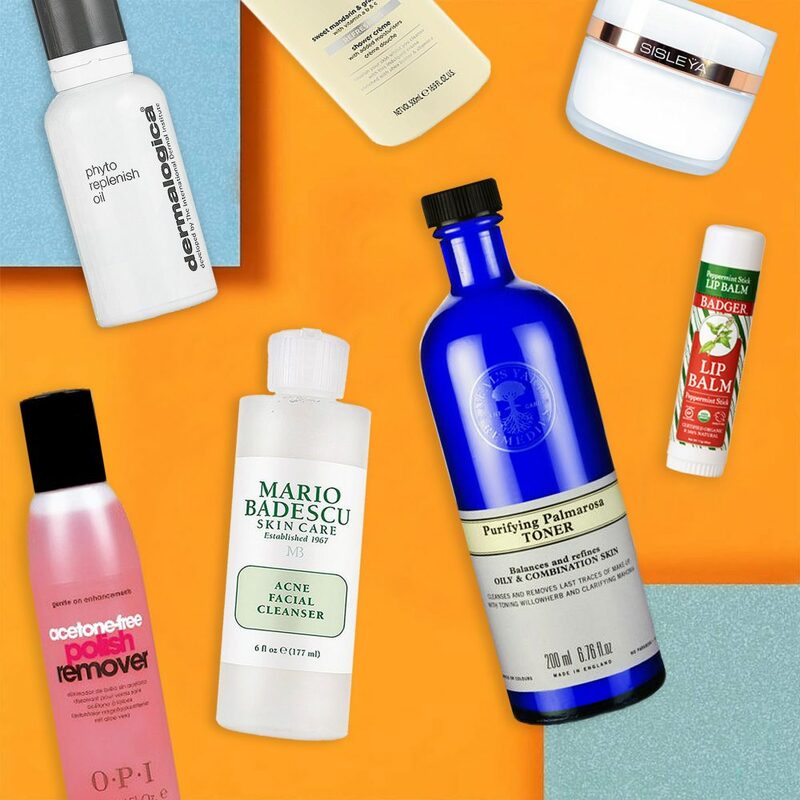 Adding it to your skincare routine will bring you one-step closer to keeping your skin looking smooth and radiant. You can buy L’Occitane’s Immortelle Reset at Rustan’s. For more skin care breakthroughs, follow @loccitane_ph and @rustansthebeautysource on Facebook and Instagram! Keep up with the the latest in all things beauty. This entry was posted in Features, Skincare, Uncategorized. Bookmark the permalink. 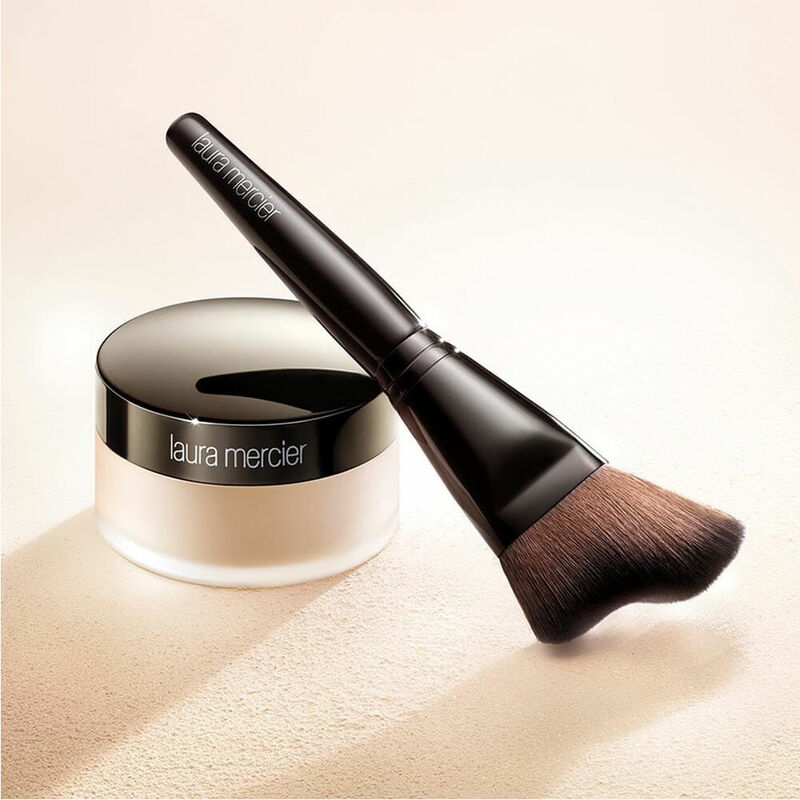 Laura Mercier’s Cult Classic Translucent Powder Now Glows! 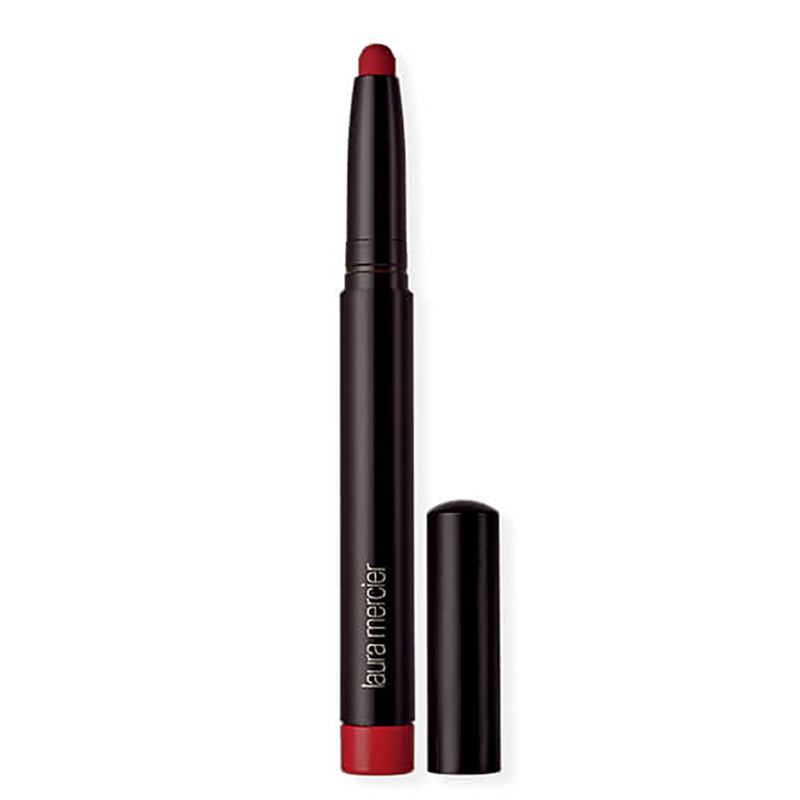 A seductive ultra-matte lipstick that delivers intense single-stroke coverage and long-lasting, creamy comfort. 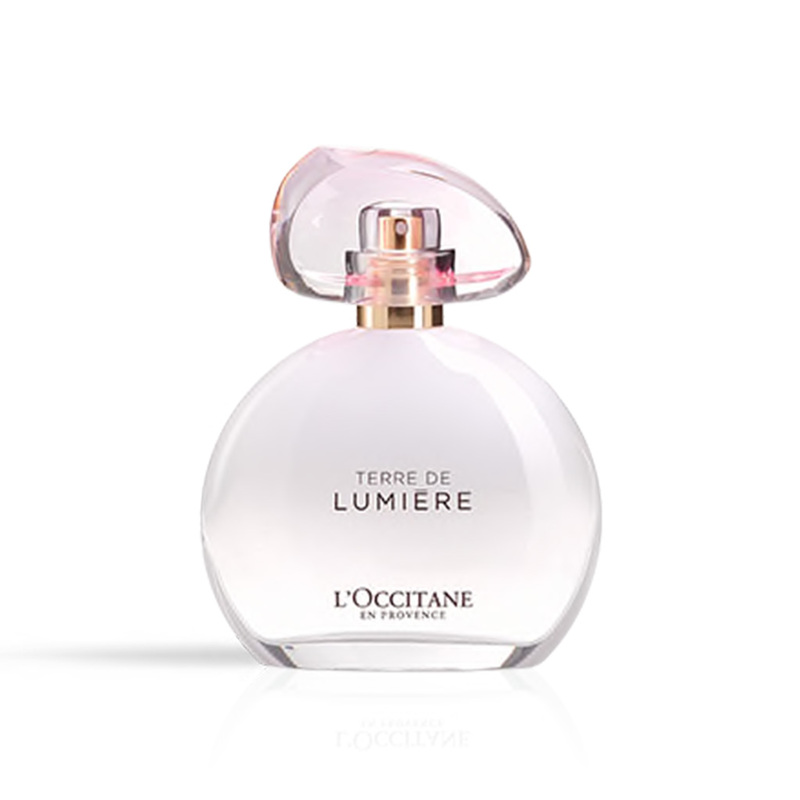 When the light becomes a scent it reveals a tender, feminine, emblematic fragrance. It is the perfect balance between a luminous, blooming heart, one as delicate as a cloud of petals, and the unique, enveloping softness of the dawn. Refine and lift. The high-performance contouring treatment which redefines facial contours: it refines, lifts and firms. Your face looks finer, puffiness is reduced, facial contours are better defined and the look of a double chin is reduced. You appear perfect, from the front and in profile!